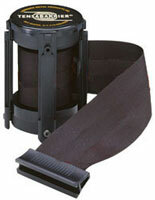 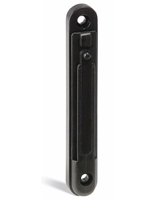 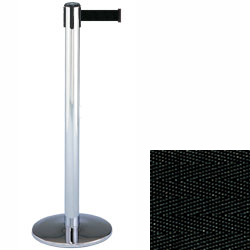 These chrome stanchions with retractable black belt make excellent crowd control fixtures for any location. 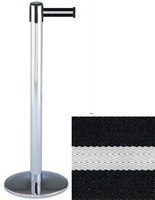 Each of the poles has a 13' long nylon tape and a 4-way adapter for connecting to up to three other poles. 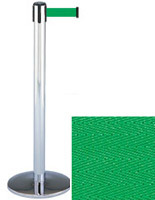 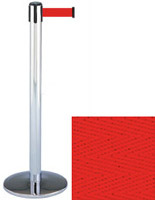 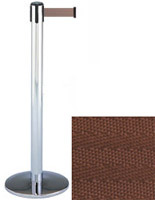 The chrome stanchions with black belt are made of strong metal with a neutral finish that will match event venues, retail outlets and restaurants. Create service lines and separate areas with these posts that can be set up in a number of simple or complex configurations. The chrome stanchions feature a stable weighted base that keeps them upright in high traffic areas.